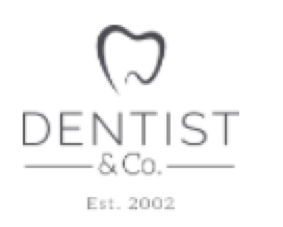 The team here at Dentist & Co pride ourselves on our friendly and relaxed service, clean and comfortable environment, friendly staff and superior dental work! We offer a wide range of dental services, including; general dentistry, cosmetic dentistry, children’s Dentistry and implant dentistry. Some of our noticeable dental treatments include Invisalign teeth straightening, ZOOM Teeth Whitening, Porcelain Veneers and Dental Implants. Our Oral therapy department is one factor that separates us from the rest, it is focused on both oral hygiene and dentistry for children, ensuring that each experience is relaxed and rewarding for both you and your family, we offer a designated Kids play area so your kids are entertained making for a more relaxing experience for the whole family. At Dentist & co we not only pride ourselves on our excellent service and highest quality dentistry but we also pride ourselves on our clean and sterile environment, we have always had an ‘open door policy’ which means all patients are able to view our sterilisation bay and the process that all instruments go through! Our team is specially trained with nervous patients, we will always ensure you are comfortable and strive to make your appointment as stress-free as possible. So if you are looking for a Sydney Dentist, then we welcome you to call or visit us and experience our superior care for yourself. We are confident you will be pleased, especially if you are one of those really nervous patients! We pride ourselves on providing pain-free dentistry with expert knowledge and cutting-edge technology.